The Diary of the 17th Man has outgrown us here at Dave’s blog, and has a new home here. Check out the latest from India and subscribe for updates. Rob Reiner’s coming of age tale, an adaptation of Stephen King’s short story The Body, is a classic. It was a great joy to share it with my sons and two of their friends on the weekend. Set in the 1950s, four friends set off on a “don’t tell our parents” camping trip, in search of the body of a missing teenager. They have ambitions of being heroes for finding the missing boy, even though they’ve overheard that he has been killed in an accident. The four characters are each on a different emotional journey, leaving behind different challenges at home. Each one is explored with sensitivity and insight as the group approaches the inevitable conclusion of their quest. River Pheonix is astonishingly good in this film, at age 14 or 15. This, and his performance in My Own Private Idaho, give us just a hint of what he might have achieved if his life had not spiralled out of control and ended so tragically and so young. The construct of the film, with one of the boys telling the story as an now adult writer, adds some depth and perspective to the narrative. His closing wisdom about the friends you have when you are 12 years old is an interesting thing to reflect on. 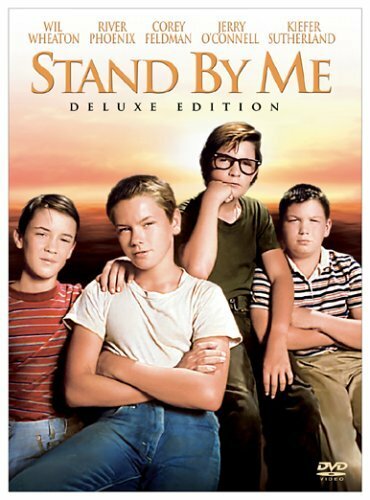 With a great soundtrack, Stand by Me is rated M for frequent strong language from the four street wise leads. This is a must see. 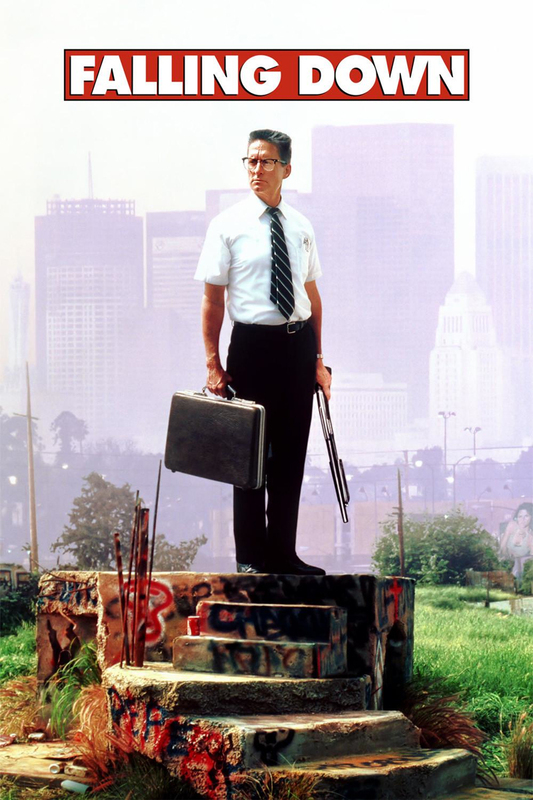 William (mIchael Douglas) has been faking going to the Defense job he’s been laid off from for some time. He’s only faking it to his monther, as he’s back living with her after his marriage broke up. Caught in a huge traffic jam is his D-FENS number-plated car, the tension of the need to visit his daughter on her birthday drives him out – out of the car, leavng it in the traffic jam, and setting off to walk to his ex-wife’s place. His journey and the stready unravelling of his mental state as he fails to deal with the barriers that block his way drive the story forward. Slowly, he emerges as both villian and folk hero as the violence excaltes. An unfortunate cop (Robert Duvall), on his last day before handing in his badge, takes on the job of dealing with the menace. Douglas is scary, robotic, human and funny all at once. A brilliant performance. One thing that was really interesting was the different reactions that my wife and I had to the film, and in particular to William. There is no doubt that he did some awful things, but I had a huge amount of sympathy for him and what he’d been through. My wife just thought he was a monster. Curious. Quite a challenging film, and tense up to the very end – well worth watching. Pitt’s performance in Moneyball is just as convincing as his role in Fight Club, but Moneyball is easier to watch and survive unscathed. As a numbers guy, I read the book a few years ago. It’s a fascinating “real life” look into how we look at numbers and what they mean. People like to say they are data driven, but really they mostly run by the seat of their pants the same way the old-school baseball scouts do. The film traces the coaching career of “washed up and never quite made it as a player” Billy Beane. His chance meeting with stats nerd Peter Brand (Jonah Hill) leads them on a journey to challenge baseball orthodoxy by buying players that are more valuable to them than the traditional “market” says, and selling flashy players to chumps who would pay top dollar. What follows is a tale of triumph and tribulation. Beane kinda won, kinda didn’t and the lack of neatness and a cute ending makes this a cut above the usual film of this type. I’m not a baseball fan, but loved this film nonetheless, so don’t be put off. 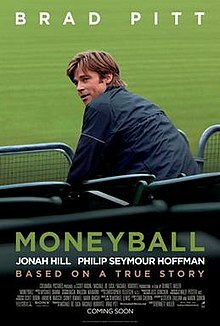 Moneyball was the third movie shown at The West Pymble Thinking Person’s Film Festival. For me, this was one of those films that I never quite got around to seeing. This was inspite of several of my film-literate friends saying things like “You haven’t seen Fight Club? !” every now and again. When the early concept for The Queensberry Rule was being developed, my co-author Steve McAlpine kept saying “You know, like in Fight Club.” I got the gist of the idea, but it was some time before I was browsing around in a store and bought the blu-ray in a “2 for $20″ special. And some little time longer until I found a some time alone at home to watch it. This dark comedy (is it a comedy? I guess so) scared me from the start. The train wreck of the lives of the Narrator (Edward Norton) and Tyler Durden (Brad Pitt) seems inevitable and excruciating – but addictively compelling at the same time. and Fight Club ends up with national reach, chaotic consequences, and the charms of Marla Singer (Helena Bonham Carter.) And Meatloaf. Go figure. As for the ending – well surprize endings are OK sometimes, but while I don’t want to give it all away for those who haven’t seen it – it’s doesn’t really lead the viewer anywhere. The opposite, in fact. Discuss. Fight Club is brutal and violent, dangerous and intense. Pitt is phenominal, as is Bonham Carter. I’m not sure about Norton, probably because I’m not sure about the film itself. Can’t quite put my finger on it. That might just be a good thing.